Loon's been around for a while. 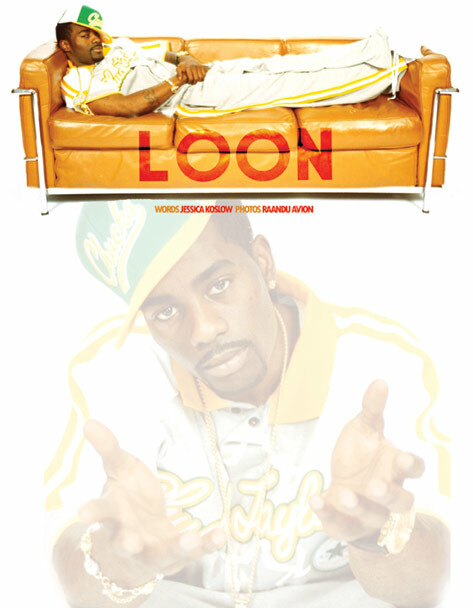 Back when Mase was sitting on top of the world, Loon was his go-to guy for the Harlem World project. 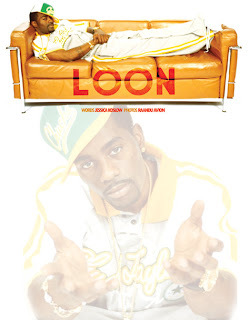 But, his heart stood behind his solo project, and after Arista dropped the ball, Loon made major moves. He hooked up with P. Diddy and the rest is rap history. Now, with Bad Boy being distributed by Universal, Loon is in a very good position, and it�s about time. How did you end up with Puff on Bad Boy? I had signed a solo deal with [Arista President] Clive Davis and I was in the process of completing my album. I had about six or seven songs done, and Clive was very excited about my progress. Unfortunately, when he left and went to J Records and L.A. Reid came to Arista, it was obvious L.A. had a lot on his plate. He had a lot riding on his new situation, and I wasn't considered a factor. There were talks of dropping me or doing whatever companies do with artists that aren't a factor. To save myself the drama and hardship of being dropped, I made a suggestion about working with Puff, who was working in Miami trying to make a comeback. I felt that was a situation I needed to be in because he had something to prove, and I had something to prove. Ultimately, L.A. Reid has respect for me as a person. He was good friends with my godfather [George Jackson] who was a motion picture producer. I was scheduled to work with Puff for four days and write two songs. That was my mission. I ended up staying in Miami 4 weeks and I wrote 11 songs. I've been on Bad Boy since 2001. From that point on, I was depicted as the driving force at Bad Boy. I've maintained that position by aiding Puff through all his trying times these past couple of years and by creatively staying consistent as far as my own solo project. We were touring with Britney Spears, *N SYNC, Ja Rule and on stage with Alanis Morissette. I've received the ultimate crash course. I was brought up to speed almost overnight. Puff threw me in front of 30,000 screaming fans. I�m on the red carpet. He didn�t waste any time seeing if I had what it took to maintain a position in the game as far as stardom and dealing with the pressures of being an artist. God willing, the journey will continue. You were part of Mase's group Harlem World. I was the writing force behind that project. I wrote about 11 songs. I was at the table negotiating with Clive. He was excited about me coming over to Arista. But at the same time Mase had propositioned me, I'm doing this group Harlem World. I want you to be Mr. Harlem World. So I was getting offered great deals from both parties. With Clive's blessing, I used the Harlem World situation as a vehicle, being that I wasn�t in the forefront of the group. It was Blink and Stase, Mase's sister. I was the guy that put the words in a lot of peoples mouths. I was just in the backseat with the window half-down, checking out the scenery, shaking hands with Program Directors, everybody I needed to meet. I took the initiative to meet those people and bridge those gaps. Mase and I had an agreement that Sony wasn't aware of. I was just committing to doing one album with Harlem World and then I was going to pursue my solo career with Clive. That was a real historical move in itself to leave Sony and go to a rival company like Arista, especially because at that time they were going at it with Mariah and Whitney. And then, to be the only solo rapper to ever be signed to Arista was a historical move. But, I never got to capitalize off of these things. God has a strange way of sending blessings. I've been paying close attention to all the blessings I've received so far. One of those blessings is Puff and him sharing his situation with me, and enabling me to go out and fulfill my dreams. What do you say when people tell you that you sound like Mase? What people don't understand about rap music is your voice is not going to change. Everybody uses the same format. If you really listen to the way people arrange words and rhymes, it's either a re-enactment of an old school flow or when people use compound words, that's sort of like Kool G Rap. There's a father to each style that's being used today, but your voice is yours. I have a smooth tone. Mase had a lazy tone. But it sounds similar because it projects the same type of delivery. I think there's a lot of difference between me and Mase if people take time to sit down and listen and understand where he was coming from at the time and where I'm coming from now. Mase appealed to women, but I target women. The things that he said to women were, no disrespect, mostly high school. I talk a little more collegiate. I'm addressing a female from an emotional standpoint and not just showering you with diamonds and cars. It's the same approach, just different angles. I think people compare just to find understanding. I don't let it bother me because I know at the end of the day who I am. As long as Harlem don't ridicule me or get the misconception of what I'm bringing to the table, I could care less about what someone on the outside looking in would have to say. People say Fabolous sounds like Mase. I think 50 Cent sounds like Mase right now. He used to rhyme like Jay-Z. If you want to point the finger, don't point at Loon because I've been doing my thing as long as I've been breathing. I love Mase and what he brought to he table. He made it less complicated for artists such as myself, Fabolous, anybody that's coming with that more laid-back type of flow. Ridicule is like a disease, and it's growing in this game. It's so sad because it places consumers in that state of mind, when consumers are seeking substance. They should be able to search on their own, rather than make a decision based on what you planted in their head. Is Puff hard to work with? At the end of the day, you've got to look at his accomplishments and everything he's obtained. You don't get that from being cool or lenient. Anybody that's out there pursuing that magnitude of success has to be firm. I wouldn't say he's a bad guy, he's just a hard coach who just wants to win. Puff believes in a hit record more than he believes in a lot of things. It might be his gift and his curse. He loves a record more than he loves himself, and we all know how much Puff truly loves himself. You want to roll with that guy. What producers and artists did you work with for your Bad Boy debut? The Neptunes, Track Masters, Bink!, Buckwild, Megahertz, Mario Winans, and Shok. I wasn't biased. I wanted to deal with the guys that had the heat whether they had a name or not. As far as artists, I worked with Kelis, Trina, Missy, T.I., Carl Thomas, and Puff. Last but not least, do you have any favorite songs? The Kelis track, Relax Your Mind, In The Maze and the Carl Thomas joint. It's so sultry.